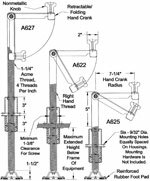 Acorn offers a wide variety of leveling jacks and caster jacks. For additional information on any specialty product, or if you do not see the specialty product you are looking for, contact Acorn™ and a sales representative will assist you. ﻿﻿Economical and practical method for leveling and stabilizing portable equipment such as work stations. Used to brake equipment in place and elevate it to the required height. An economical and practical method for leveling and stabilizing portable equipment such as work platforms. They are used to brake equipment in place and elevate it to a required height. 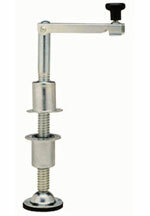 These screw jacks can be used in areas where position locks cannot be applied. The hand crank has a radius of 7-1/4”. All exposed metal parts are zinc plated for proven rust prevention. 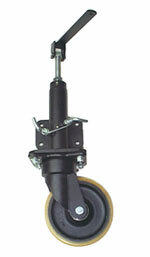 ﻿﻿Kingpinless casters with Nylacron™ wheels are recommended for all caster jacks. 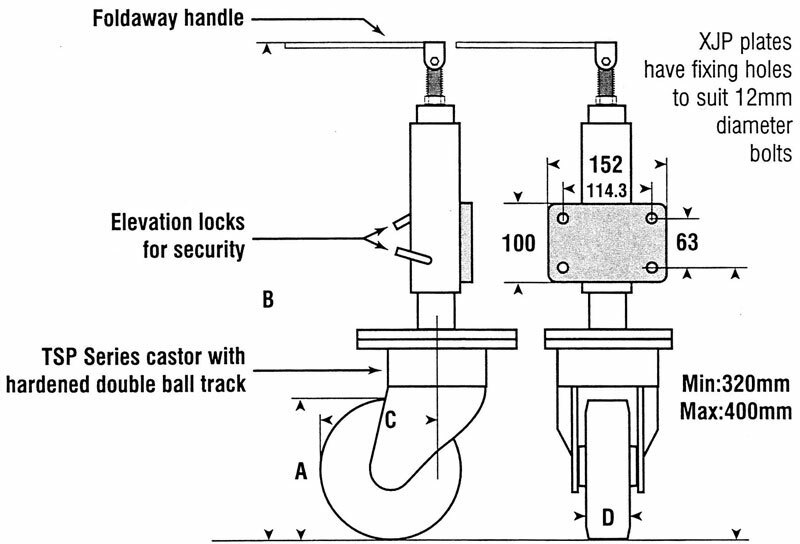 Consult Acorn™ for caster recommendations with each Jack application. 4 revs. input for 1 inch of stroke. 1800 lb. maxium operating load, compression. 4500 lb. maxium static compression to yield. Approx. 240 inch lb. torque input at maxium operating load. 6 revs. input for 1 inch of stroke. 500 lb. maxium operating load, compression. 4000 lb. maxium static compression to yield. Approx. 80 inch lb. torque input at maxium operating load. 14.6 revs. input for 1 inch of stroke. 12 revs. input for 1 inch of travel. Approx. 95 inch lb. torque input at maxium operating load. 4 revs. input for 1 inch of travel. 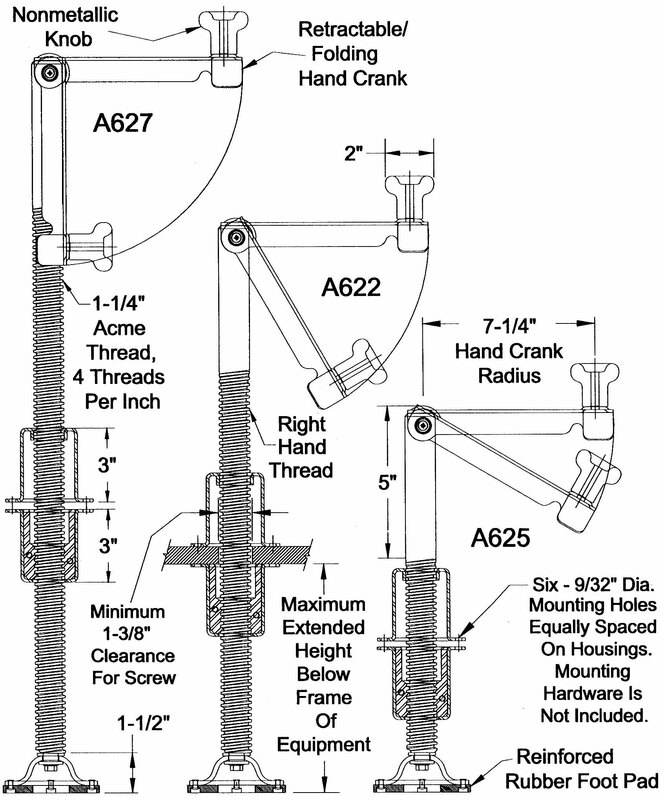 ﻿﻿Seven basic models that meet most every lifting requirement up to 10,000 pounds. 4.16 revs. input for 1 inch of stroke. 25,000 lb. maxium static compression to yield. Approx. 380 inch lb. torque input at maxium operating load. 22,000 lb. maxium static compression to yield. Approx. 285 inch lb. torque input at maxium operating load. Available with 14" dia. all-terrain foot pad. 12 revs. input for 1 inch of stroke. 15,000 lb. maxium static compression to yield. Approx. 235 inch lb. torque input at maxium operating load. 1,500 lb. maxium static compression to yield. Load Capacity to 2,200 lbs. Can be fitted with complete caster with Nylacron™ wheels or friction pad only.